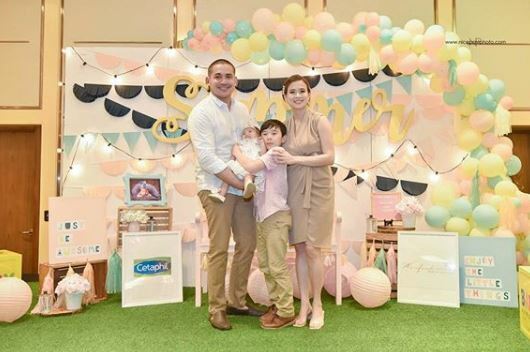 Celebrity couple Lj Reyes and Paolo Contis officially welcomed their daughter Summer Ayanna Contis to the Christian world last Saturday, April 6, three months since she was born. 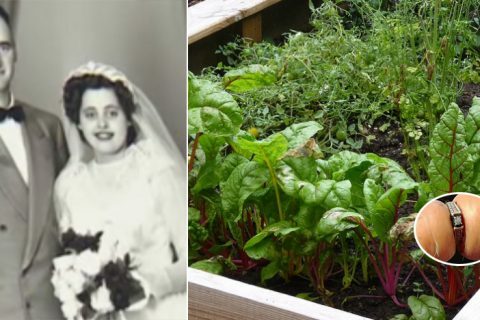 The couple shared photo snaps of their daughter’s christening through their social media accounts. 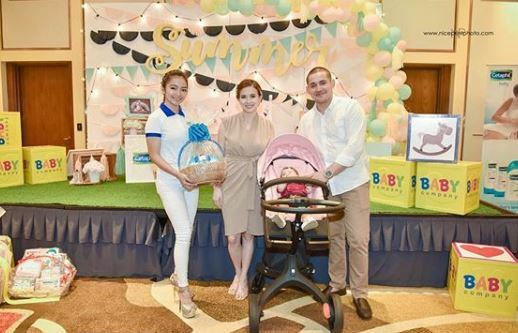 Based on the photos, the family first gathered at the Parish of the Hearts of Jesus and Mary in West Triangle, Quezon City for Summer’s christening, followed by the reception, held at Winford Manila Resort and Casino. 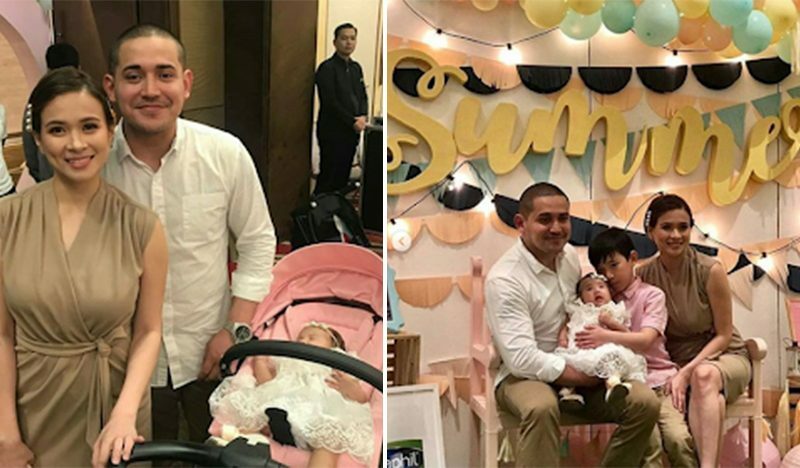 Summer Ayanna’s baptismal ceremony was attended by the couple’s close friends and family. Of course, her older brother Ethan Akio Reyes, Lj’s son with Kapamilya actor Paulo Avelino, was also present during the event. The venue looked cozy in a bohemian-chic set-up, where each of the tables has Summer Ayanna’s adorable photo on it. 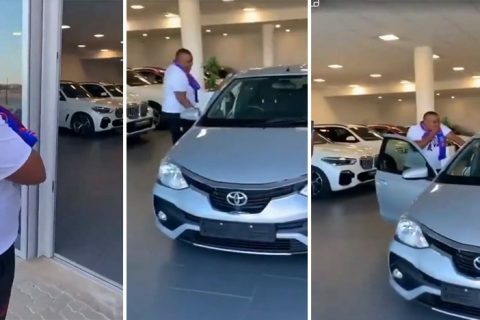 Before the grand event, the comedian-actor shared on Instagram a funny video of him together with his daughter so that guests could bring more gifts. “Binyag/Christening ni Summer mamaya kaya madaming preparations na nagaganap para matuwa ang mga guests sa kanya! 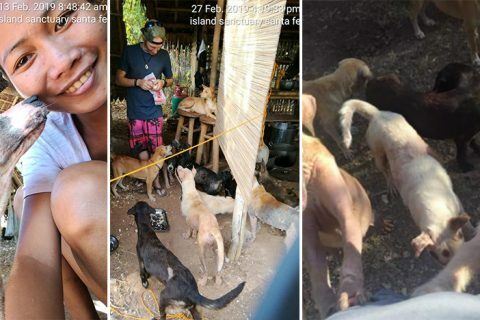 Baka sakaling magbigay sila ng mas madaming regalo!” says the caption. On the other hand, Lj shared on Instagram their family photo to express her affection to her daughter, hours before her christening. 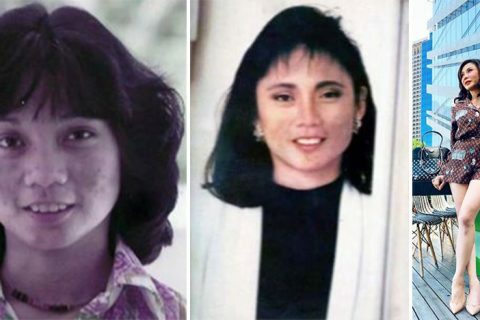 The 31-year-old actress is very excited to witness her daughter’s milestone. 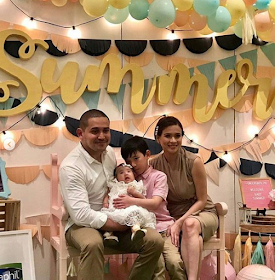 Lj Reyes and Paolo Contis welcomed their daughter on January 4, 2019. The couple first announced that they were expecting their first child together through social media on August 27 last year. The comedian-actor has two daughters from his former marriage with dancer Lian Paz, namely Xalene and Xonia.